Each of those numbers tells you what type of plastic was used to make the packaging (yes, there is more than one type of plastic, crazy we know!). If you know what material was used to make the plastic, it can actually give you a hint about how healthy the plastic is for you. But, we don't expect you to do that research or know it all off the top of your head, so to help you out, we put together this handy reference chart. 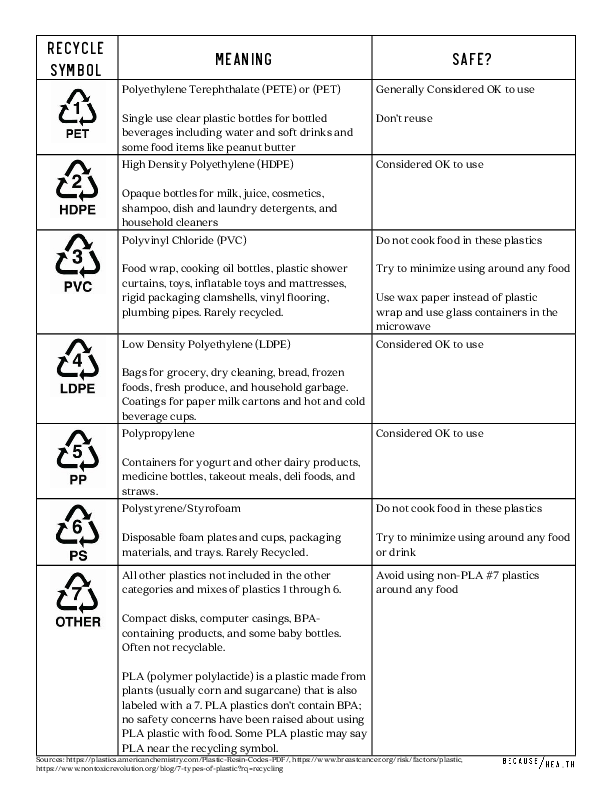 It explains what each number means, and breaks it down very clearly to say if that plastic is considered safe or not. So, now you can check the leftover yogurt container and decide if you want to use it as an extra tupperware or just recycle that one.